A successful farm is a reflection of multiple factors. An Agriculture Loan from Westside State Bank will help you stay on top of all of them. Whether you could use funds for working capital, livestock, farm machinery, or nearly anything in between, our friendly, experienced lenders will help customize a solution that caters uniquely to you. And unlike some far-off lender, we know a thing or two about our customers, our community, and our farmland. Speak to a local expert today. 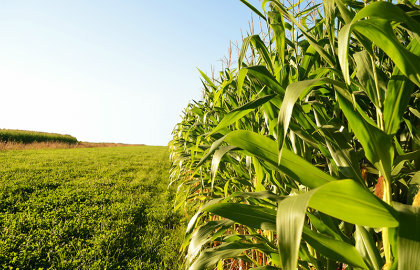 Farmer Mac I provides financing for conventional agriculture loans. Farmer Mac II is also available for farming operations that qualify for the Farm Service Agency Guaranteed Loan Program. These loans allow your operation to finance farmland for 5 to 15 years with amortizations of 15 or 25 years. Fixed and adjustable rates are available. For our more mature farming operations, "choice" pricing may be available. To learn more about Farmer Mac loans, visit the Farmer Mac website.